This article will provide you with further information on supporting documents upload and its great facilities. So let's get started! It is now time to upload your lender's required documents for a quicker and full assessment of your application. Click on File up in the left hand corner and click on Checklist - this is generated to match what the lender requires you to provide for that application. Once you've submitted the application, this checklist can then be generated in an email to the customer so that they can collect and provide all the required documents. You may choose to skip emailing the client by this stage, as you may have already collected them all. In that case, click on Supporting Docs to be taken to the upload page. This tab provides all the functionality you need to upload your documents to satisfy all requirements on the checklist. You are now in the Supporting Documents section. To upload documents, click on Upload at the top left hand corner and drag and drop all related documents into the first Column. You can now Edit a document prior to assigning it to a Checklist item. You may want to do this if you have uploaded one document with multiple pages or a document that contains 2 forms of ID that needs to be split. To edit a document, click on the document image in Column 1. The pages in that document will appear in Column 2 - document management. If you click on a particular page from within that column, you will be taken to an Edit page. Notice the Edit functionality that will allow you to Crop, Redact, Rotate, and Markup as required. Once you are happy with your edits, click Save. It's now time to assign a particular page or pages of a document to a Checklist item. You can select multiple pages by holding down the CTRL key and clicking multiple documents that you want to select. You can then click on one of those documents and drag across to the checklist item....and all the documents you have selected will go with it. Make your selection and drag the image through the appropriate Checklist item in Column 3, which then lists the exact requirements in Column 4. Drop your selection against the appropriate requirement in Column 4. The trick is to ensure you drag your selected page/s over the Checklist item in Column 3. If you drag it over a different Checklist item, you may end up assigning your document to the wrong requirement in Column 4. Once you drop your document against the appropriate requirement, you will be taken to a new screen which will ask you to verify the information on the document. For example, does the data that you typed into the application, match the data printed on this supporting document. You will need to tick the check-boxes to verify the items. You can also check the Section and the Document to ensure you have attached this document to the correct Supporting Document requirement. Once you have verified, click Save. You can now see that you have satisfied that Supporting Document requirement - shown by the Green tick and there is now a Completed Task. You will need to continue with assigning the rest of your uploaded documents to the appropriate Checklist item. Sometimes you might want to Create an Exception. This is effectively a message to the Lender explaining why a particular Checklist item can't be satisfied. It might be because the Supporting Document is currently not available, or some of the conditions on the document are unable to be verified. Click on the item in the Checklist that you wish to create an exception for. The required Supporting Document/s will appear in the far right hand column. Click on the Supporting Doc in the right hand column to highlight it. Notice that the 'Create Exception' menu icon is now active. Click the Create Exception menu icon. A pop up will appear. Enter the reason why this particular Supporting Doc is not being provided at this time. You will notice the Exception now appears under the Supporting Document. The Checklist item has been satisfied but will appear in 'orange' to indicate an Exception has been created. 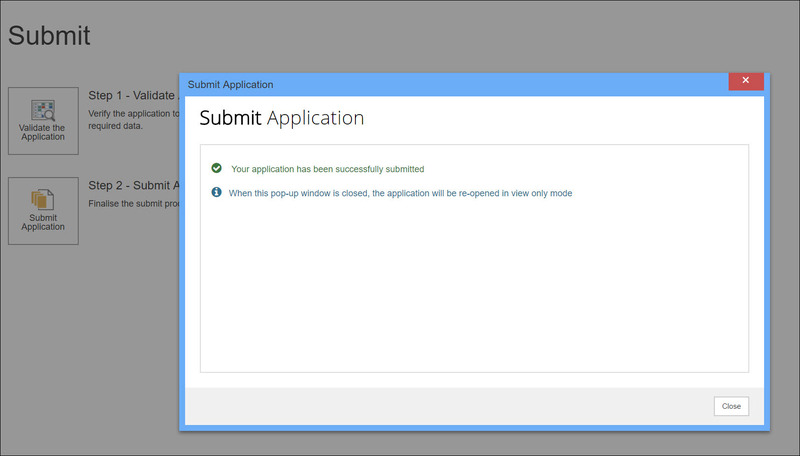 Once you are finished uploading the last requirement, you will get a popup saying that you have completed the process. Tick the box to acknowledge that you want the documents to be submitted to the Lender. Then click 'Submit documents to lender'. Congratulations on submitting a full application with all Supporting Documents required by the Lender. The Lender will now work on your file and be in touch regarding approval.